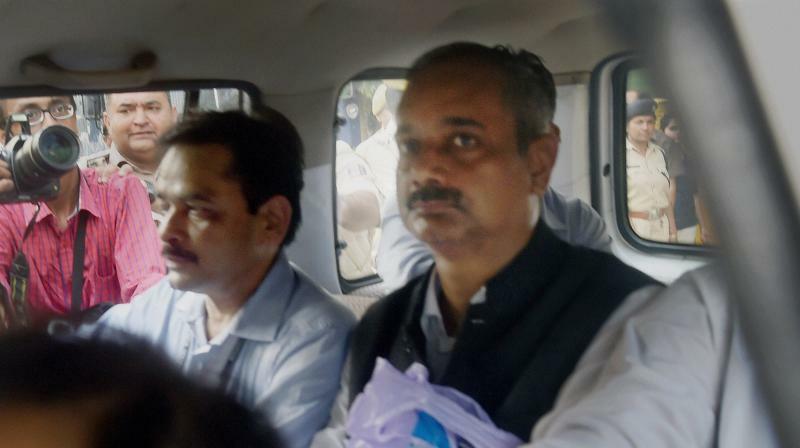 Rajendra Kumar had been arrested by CBI on July 4 this year in an alleged corruption. New Delhi: The Delhi government on Tuesday withdrew the suspension order of Chief Minister Arvind Kejriwal's Principal Secretary Rajendra Kumar following the Lt Governor's approval, saying that the CM doesn’t have the power to suspend an IAS officer. Kumar had been arrested by CBI on July 4 this year in an alleged corruption case and subsequently the Home Ministry had issued a deemed suspension order as he was in police custody for more than 48 hours. However, Kejriwal had issued another order to suspend his Principal Secretary on July 6. "Kumar was placed under deemed suspension with effect from July 4 by Ministry of Home Affairs being the competent authority in terms of Sub-Rules (2) & (3) of Rule 3 of the All India Services (Disciplinary) & Appeal) Rules, 1969 vide order No. 14033/06/2016 UTS -I dated July 6. "Accordingly, the order number 397 dated July 6 issued in this regard by the Services Department (of the Delhi government) is hereby withdrawn... This issue with the approval of the Lt Governor in Delhi," the Services Department said in its order. After the Chief Minister had issued suspension order of Kumar, the MHA had said that there was no enabling provision under the Service Law Jurisprudence for existence of two suspension orders for one and the same cause of action. "The existence of two suspension orders is likely to be used by the delinquent officer to his advantage in any litigation or proceedings that might ensue. "Therefore, the Delhi government has been advised to withdraw the suspension order issued by the Chief Minister in respect of Rajender Kumar," the official had in July said adding, "The MHA suspension order would continue."